In a large saucepan, add broth, TABASCO® Chipotle Sauce and garlic; bring to a boil. Add carrots and cook 7 minutes. Add green beans and cook 7 minutes. Add chickpeas, cilantro and mint; cook 5 minutes. Discard mint, cilantro and garlic if they do not disintegrate. Add salt. Add chicken and heat 2 minutes. 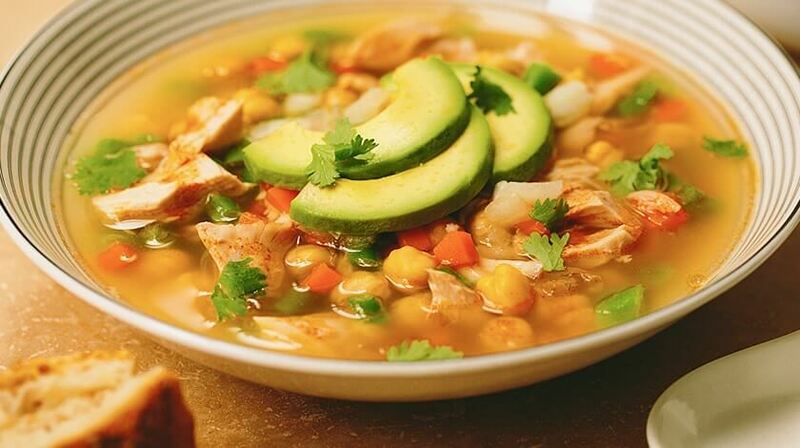 In each bowl, add 1 tablespoon onion, sliced avocado and cilantro; squeeze lime wedge and add soup to bowl.